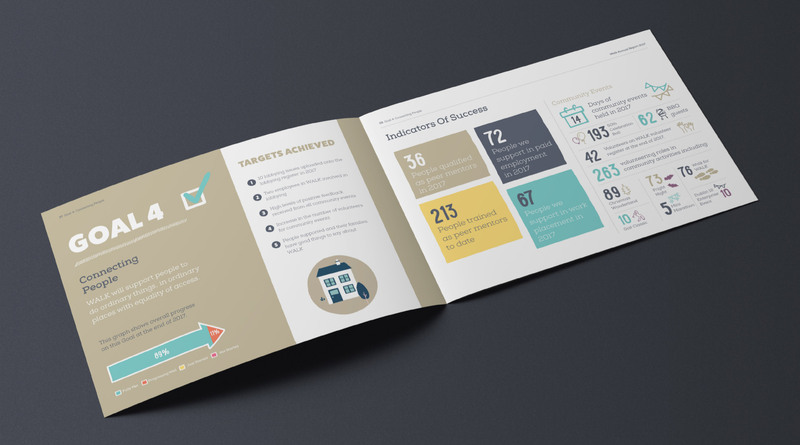 WALK annual report infographic design. - Sweet! WALK annual report spread design. WALK annual report infographic design. Sweet! Creative design studio are based in Swords, Co.Dublin and Ennis, Co.Clare. Sweet specialise in annual reports, food packaging, exhibition design, branding, as well as focusing on all aspects of graphic design.